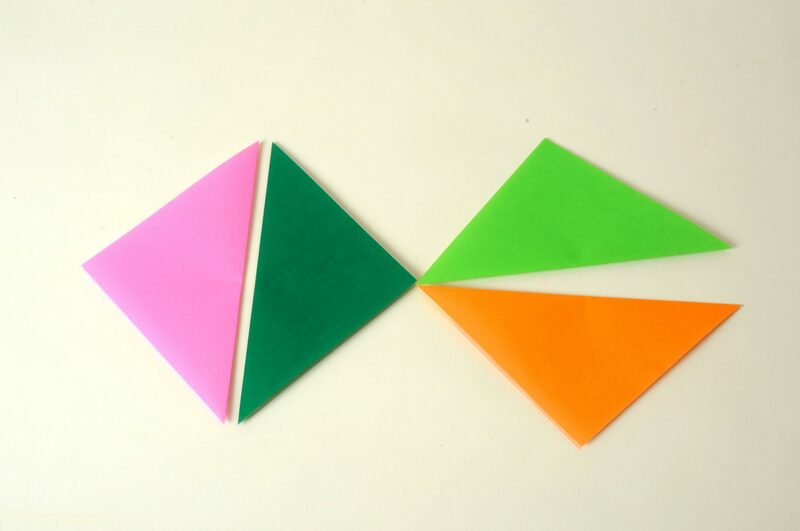 The more the child folds, the better the accuracy of the fold. The inaccuracy will not affect the final product. 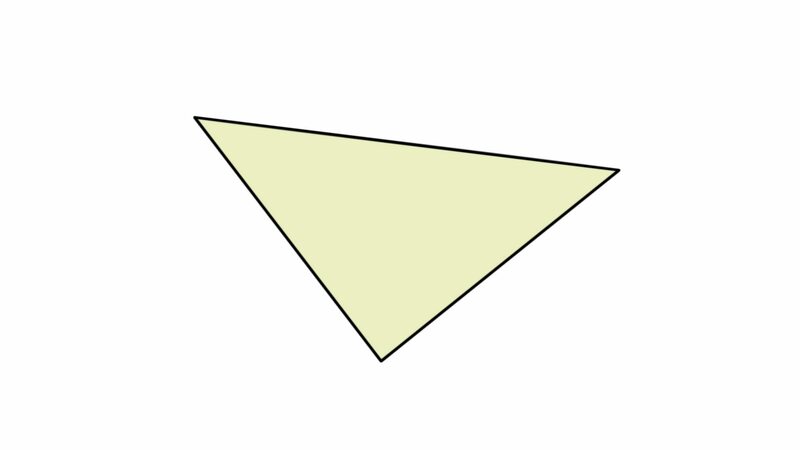 Fold opposite vertices on each sheet. 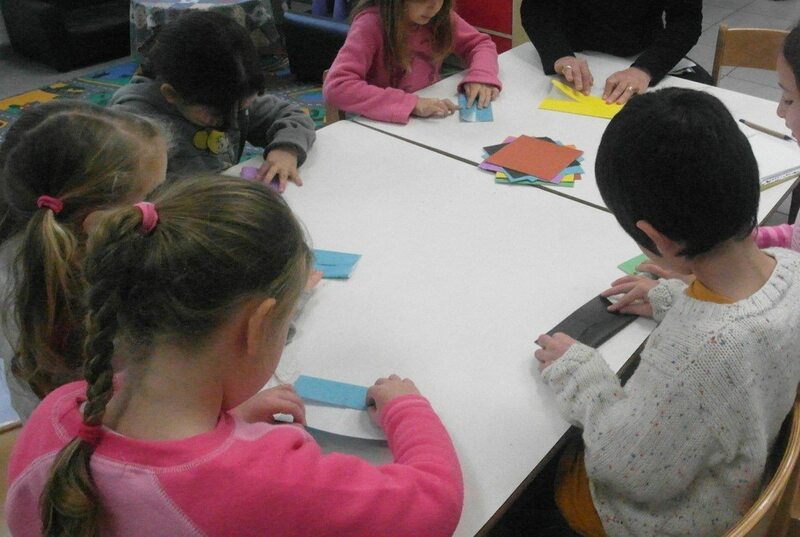 A kindergarten teacher demonstrates only her paper. If necessary, repeat the demo several times. 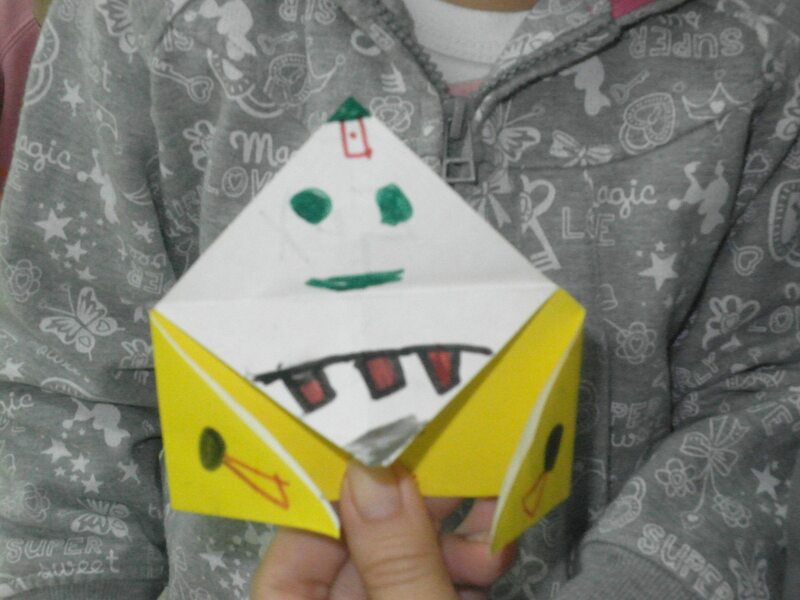 Never touch the child’s folded paper. 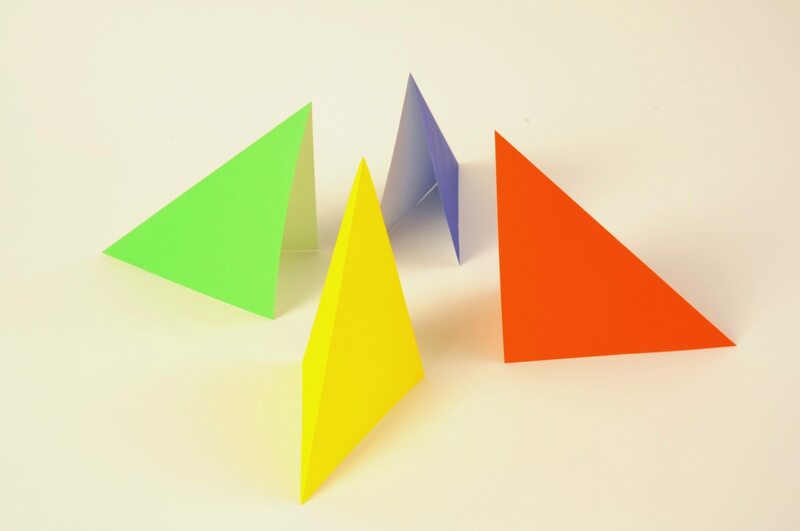 Acquiring confidence in folding is a process that cannot be interfered with. 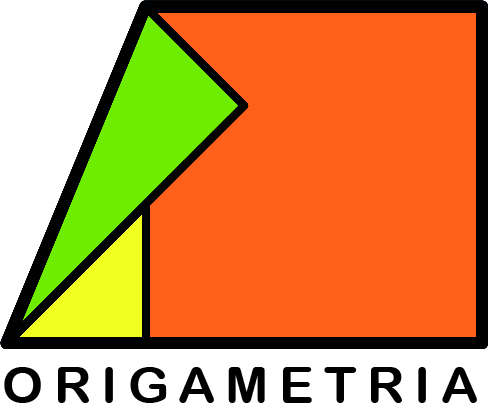 Composition and decomposition: We ask each child to place the triangles together so that the triangle’s side is fully attached to the side of the second triangle, and a larger triangle will be obtained. 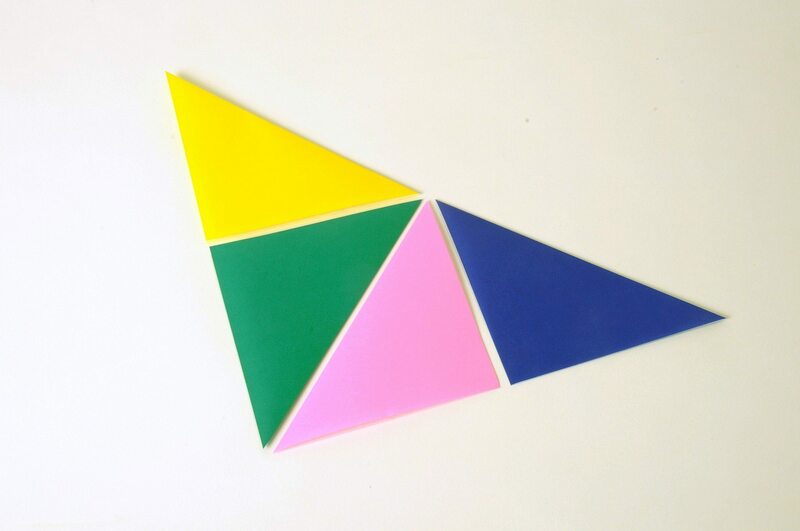 Composition and decomposition:The children will place the triangles together so that the triangle’s side is fully attached to the side of the second triangle. It is best to demonstrate to the children what is meant by pinning ribs. 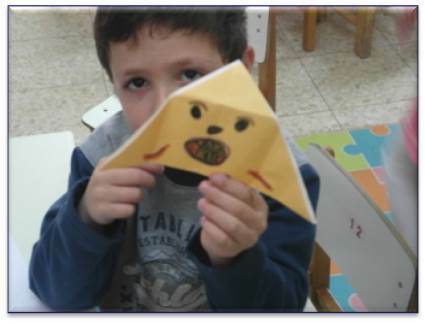 It is recommended to ask the children to count the sides and vertices of the triangle they formed. It is advisable not to check the accuracy of the folds and not to mention the word precision. 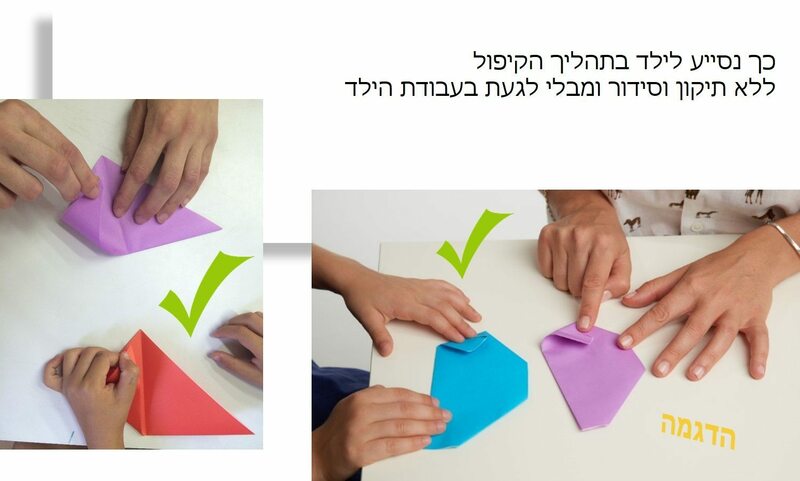 Even if the children folded inaccurately, the final result will come out well. 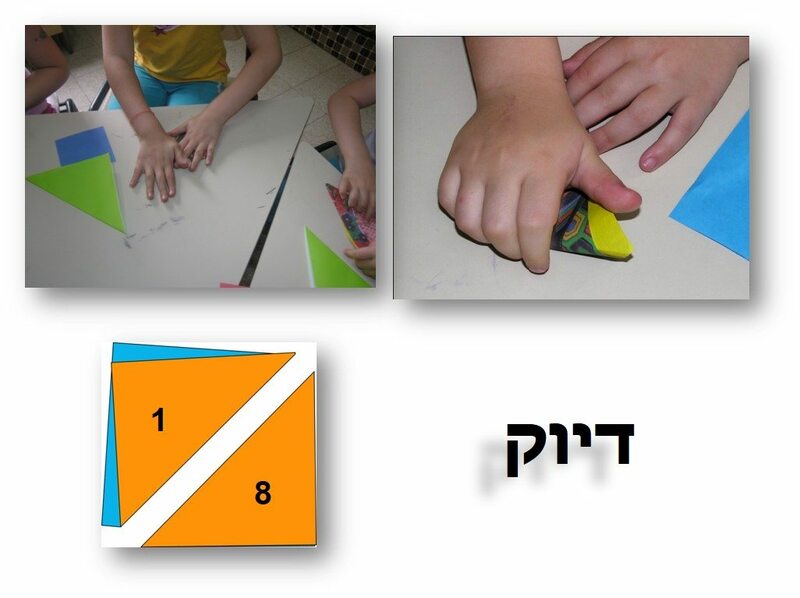 יDemonstrate with your paper so that children will understand which of the vertices to fold. 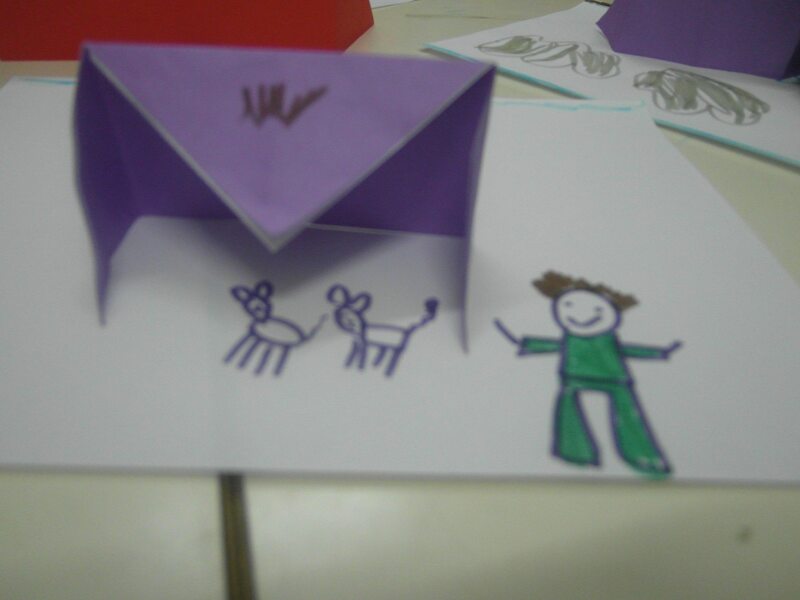 Model presentation: We ask each child to draw and design the final result. 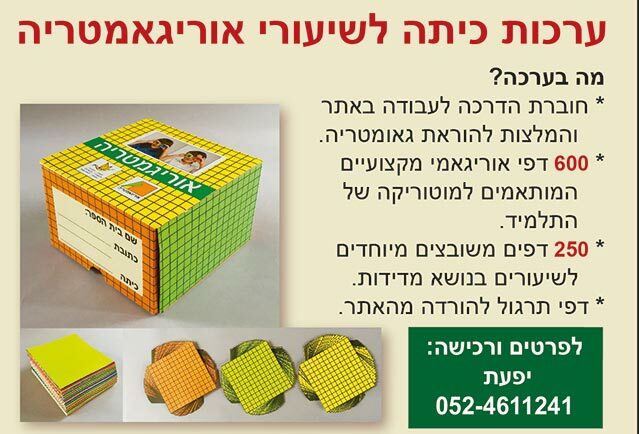 It is recommended that the decoration be done only with markers (and not with stickers). 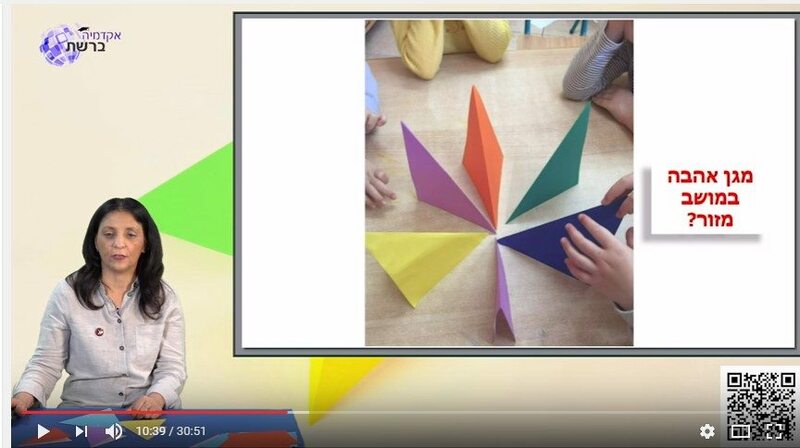 The teacher will not design her model before the children have designed their own. Presentation of the model: We ask each child to describe the final model that was created from his/hers imagination and choice.